Sept 17, 2011 ~ 1:00 – 3:00 PM: Spruce Home and Garden ~ New Milford, CT ~ Terrarium demonstration ~ go to www.sprucehomeandgarden.com for more information. October 2, 2011 ~ 11:00 AM: Linden Hill Gardens ~ Ottsville, PA ~ Terrarium workshop ~ go to www.lindehillgardens.com for more information. November 7, 2011 ~ 11:45 AM: Garden Club of Greater New Haven ~ Agricultural Experiment Station, New Haven, CT ~ Terrarium lecture & workshop. 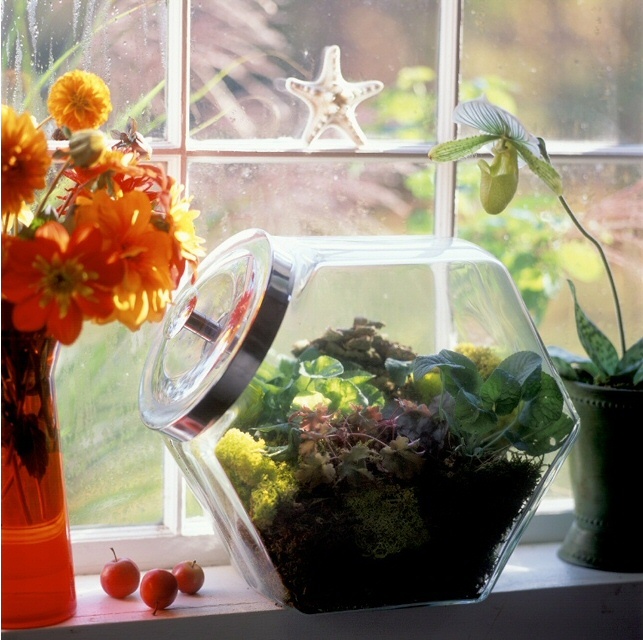 February 6, 2012 ~ 11:00 AM: Suffield Garden Club ~ Suffield, CT ~ Terrarium lecture and demonstration. February 14, 2012 ~ 10:00 AM: Darien Garden Club ~ Terrarium lecture & demonstration. March 15, 2012 ~ 12:00 noon: Bristol Garden Club ~ Bristol Public Library ~ Bristol, CT ~ Terrarium lecture & demonstration. August 13, 2012 ~ 10:00 AM ~ Millbrook Garden Club ~ Sharon Audubon Society ~ Sharon, CT ~ Terrarium lecture & demonstration. This entry was posted in Where I'm At. Bookmark the permalink. I am hoping you will have a workshop in the South Central Oh area soon. I didn’t see one listed.Plese let me know i would be willing to help you find a place and get it organized on this end. Thank you.